This month we turn our attention to the magical world of mushrooms. At the top of the garden, next to the nursery, is our mushroom cellar. In this controlled environment our garden team grows flavourful mushrooms for the restaurants on the farm. 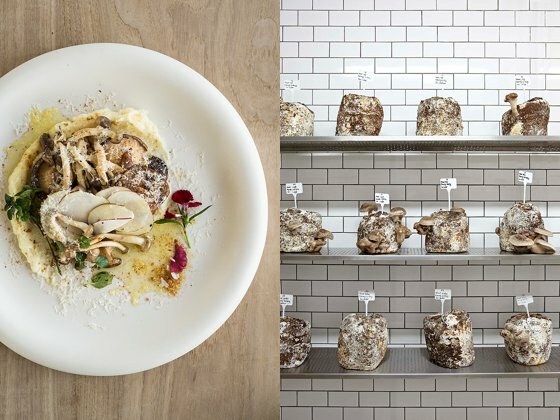 We currently have three varieties in the mushroom cellar: shiitake, for its distinctive umami flavour, grey oyster mushrooms for its mild flavour and velvety texture, and pink oyster mushrooms for its subtle aniseed palate. A mixture of our cultivated, as well as some exotic mushrooms, make their appearance on Babel’s winter menu; the mint butter grilled mushrooms with deliciously rich cauliflower & parsnip mash, Dalewood farmhouse cheese, shaved kohlrabi and roasted hazelnut salt, is a must try. Dan and Cynthia, who tied the knot here on the farm in early April, were quite a daring duo when it came to their wedding celebration, and embraced our garden team’s offbeat ideas. 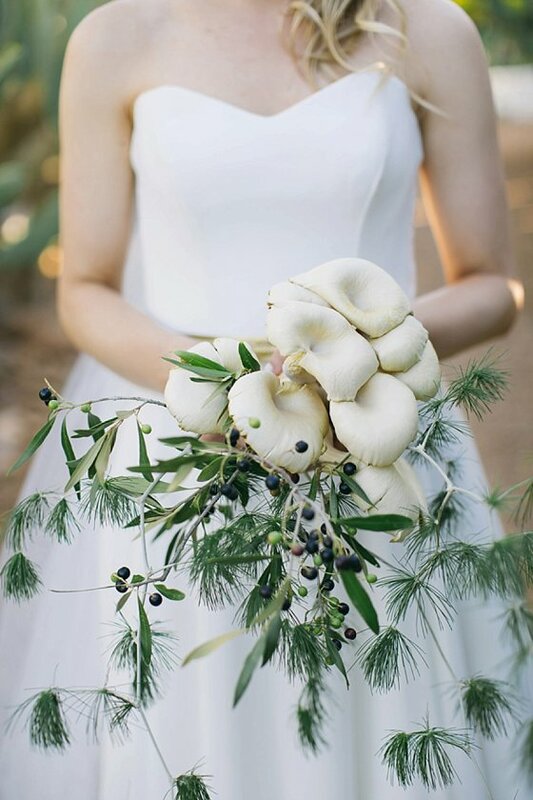 Gundula dreamed up a unique mushroom bouquet for Cynthia, and beautiful boutonnieres for Dan and his groomsmen. In the spirit of all things mushroom, we’re sharing this dead easy and eye-catching seared oyster mushroom recipe. You’ll find it on p.31 of our cookbook. Don’t overcook or over-flavour these beauties – their taste is fragile and earthy and the texture should be soft and delicate. In a large, warm saucepan, flash-fry oyster mushrooms for 30 seconds on each side in a little butter. Remove from heat and add fresh lemon juice. Season to taste with salt and black pepper, and shaved Parmesan. Drizzle with extra virgin olive oil to taste. 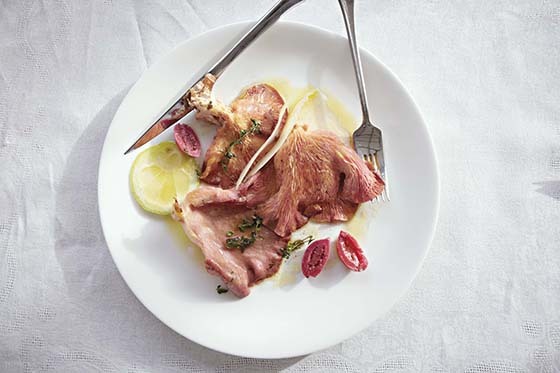 Serve with a chunk of baguette to mop up the juices, and wash down with our Mourvédre Rosé. Wow! Those mushrooms with the parsnip mash look amazing! Also, what an awesome idea for a bouquet – beautiful. Thank you Rhona.The mushroom dish on our winter menu is quite amazing, all buttery, earthy and nutty goodness. Alice in Wonderland comes to mind! Bridget we’ll see you soon. You’ll be just in time for the blossoms. Amazing bouquet – delicate I would imagine. Nice blog, I appreciate with your opinion. Thanks for sharing such a knowledgeable post. Magic mushrooms also known as psilocybin mushrooms or psychedelic mushrooms are mushrooms that contains psychedelic compounds. Psilocybin and psilocin are the two main compounds in magic mushrooms. When psilocybin is ingested, it will start to produce psilobin which creates the psychedelic effects.